Blueberry muffins have always had a special place in my heart. When I was little, my mom served them with our big weekend breakfast, and they quickly became one of my favorite baked treats. When I went off to college and didn’t have time for big breakfasts, I still kept blueberry muffins in my life by getting one nearly every morning. And it was right after biting into a fresh blueberry muffin that I met the man who would one day become my husband. So yeah, blueberry muffins are pretty special to me. 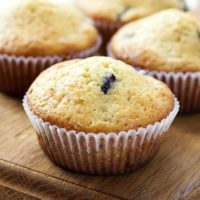 For a while I was fine with getting store or bakery-bought muffins, but eventually I decided to create my own recipe for Homemade Blueberry Muffins! They taste just like how my mom used to make them! I used dried blueberries for my homemade blueberry muffins because I always have a big bag of dried blueberries on hand. But when blueberries are in season, I always use fresh blueberries instead. I’ve also tried frozen blueberries, and they also worked well. Really, no blueberry is a bad blueberry! Here’s a little tip for if you choose to use frozen blueberries: don’t thaw them first. I’ve found that just messes with the overall moisture of your muffins. It’s actually best if you leave them frozen, but toss them in a little flour before adding them to your batter. This will keep them from sinking too deep in your batter, and will reduce how much blueberry juice bleeds out. 3/4 cup dried blueberries, plus more for topping. 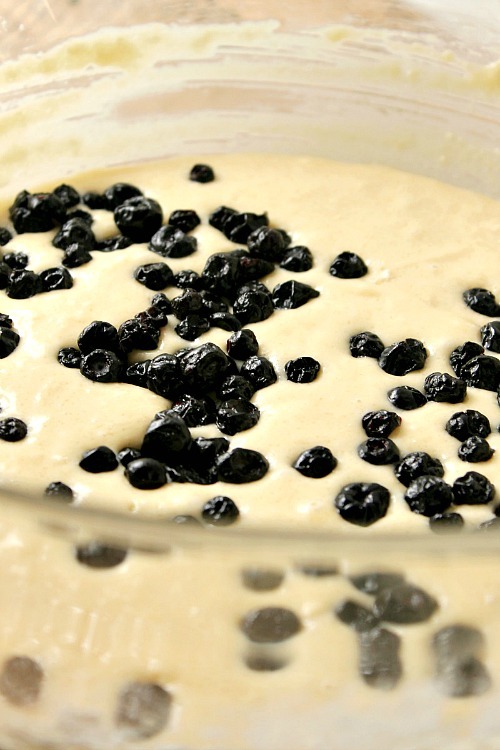 You could use an equal amount of fresh or frozen blueberries instead. 1. Preheat oven to 400 degrees F. Line a muffin pan with paper liners and set aside. 2. 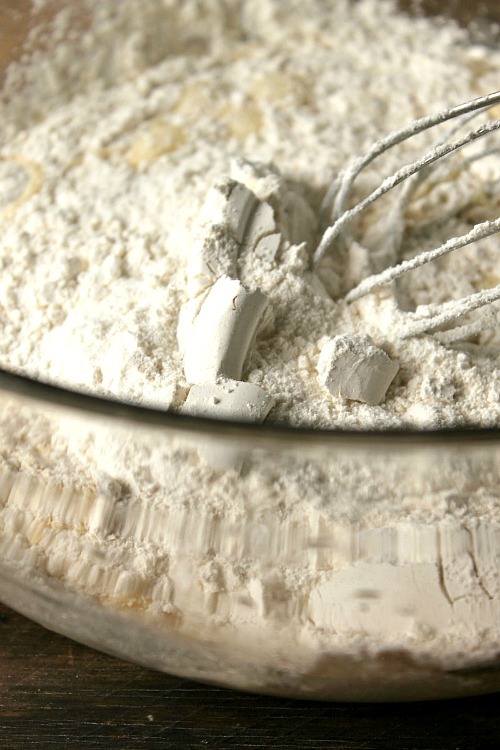 In a mixing bowl, combine the flour, sugar, baking powder, and salt and whisk to combine. 3. 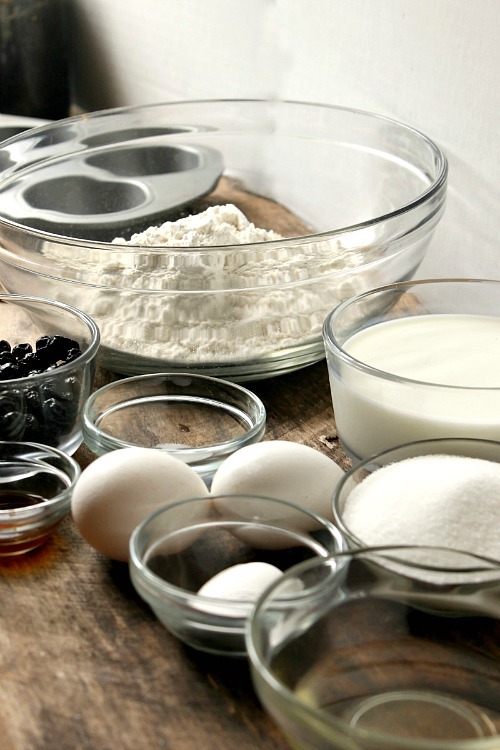 In a separate large bowl, whisk together the egg, milk, vegetable oil, and vanilla extract. 4. Add the dry ingredients to the wet ingredients and gently stir to combine. Fold in the blueberries. 5. 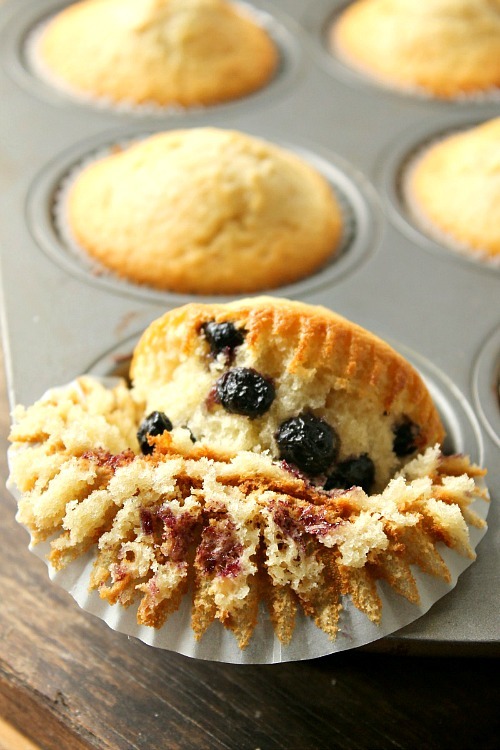 Scoop the batter into the prepared muffin cups and sprinkle blueberries on top of each one. Bake for 18-20 minutes or until a toothpick inserted into the center of the muffins comes out clean. Let cool for five minutes before removing from the pan. What was your favorite breakfast treat when you were little? Preheat oven to 400 degrees F. Line a muffin pan with paper liners and set aside. 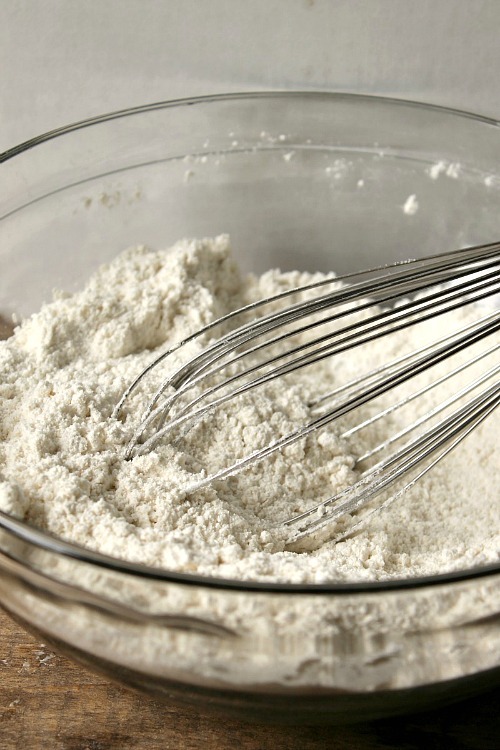 In a mixing bowl, combine the flour, sugar, baking powder, and salt and whisk to combine. 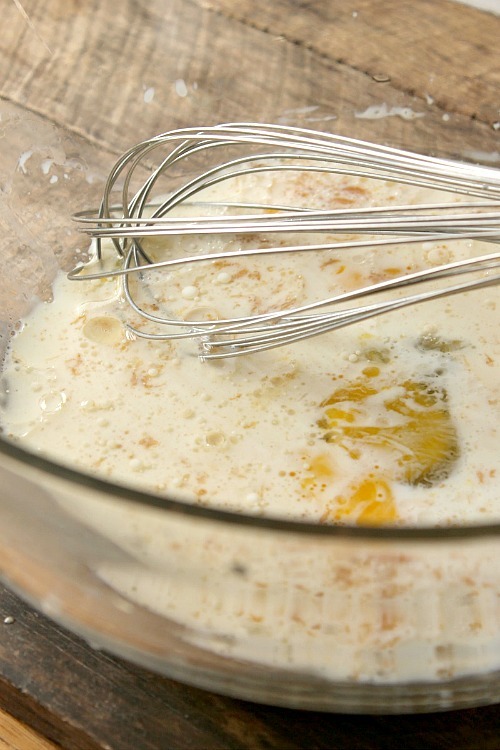 In a separate large bowl, whisk together the egg, milk, vegetable oil, and vanilla extract. Add the dry ingredients to the wet ingredients and gently stir to combine. Fold in the blueberries. 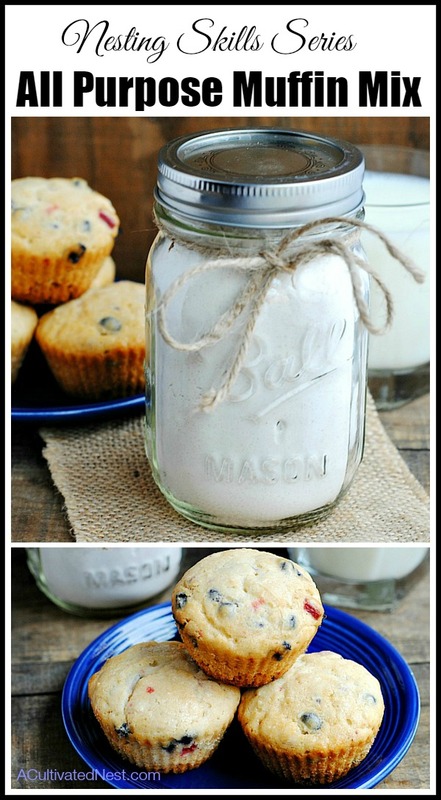 Scoop the batter into the prepared muffin cups and sprinkle blueberries on top of each one. Bake for 18-20 minutes or until a toothpick inserted into the center of the muffins comes out clean. Let cool for five minutes before removing from the pan.